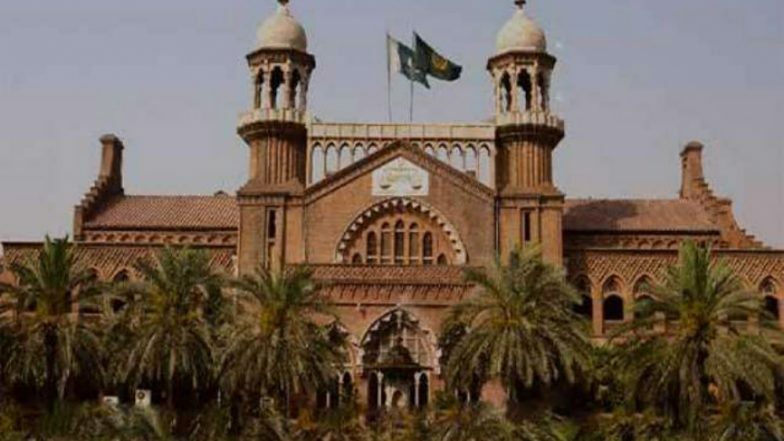 Islamabad, April 11: The Islamabad High Court (IHC) on Thursday allowed two Hindu sisters in Sindh province to reunite with their husbands in the light of a five-member commission report on the alleged abduction, forced conversion and marriage of the teenaged girls, the media reported. The girls -- Reena, Raveena and their husbands Safdar Ali and Barkat Ali -- had earlier filed a petition seeking protection. The petition by the girls stated that they were born in a Hindu family of Ghotki, Sindh, and converted because they were "impressed by Islamic teachings". The petition claimed that they did not inform their family because of "threats to their lives". The plea also stated that the two girls left their home on March 20 and two days later they willingly converted and entered into marriages. The incident came to light when a video surfaced online showing the teenagers' father and brother claiming that the girls were abducted and forcefully converted. In the video, the girls' father claimed that they were 13 and 14 years old. Pakistan High Court Forms Commission to Probe Hindu Sisters' 'Forced' Conversion and Marriage. It was followed by another video in which the two girls claimed that they had converted to Islam. It was reported that the girls were moved from Sindh's Ghotki district to Rahim Yar Khan in Punjab province. During the Thursday court hearing, the Interior Secretary said that members of the commission -- Minister for Human Rights Shireen Mazari and National Commission on the Status of Women Chairperson Khawar Mumtaz -- held a meeting with the girls and their spouses separately, the Express Tribune reported. "The girls accepted Islam on their own to marry their lovers," said Mumtaz. The Interior Secretary said: "This does not appear to be a forced conversion case. It seems like it has become a culture in the area. The medical tests proved the girls are adults aged 18 and 19." Amid the uproar over the case, Prime Minister Imran Khan had directed the Sindh and Punjab governments to probe the issue and recover the girls if the forceful conversion allegation was correct.